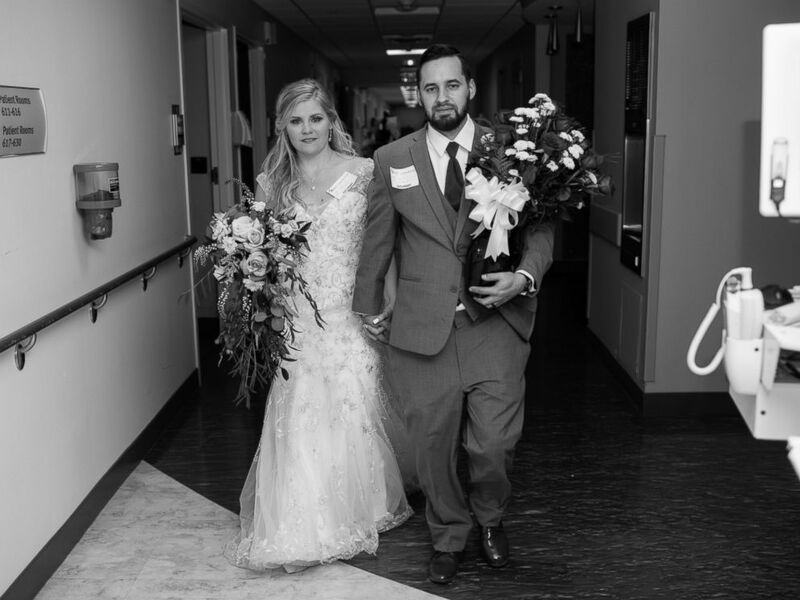 When the grandmother of a Florida bride suffered a heart attack and had to miss her granddaughter's wedding, the bride and groom continued their wedding party at the hospital. The newlyweds, Jessica and Tyler Brown, surprised her grandmother Margaret Harris at a Jacksonville-area hospital around 10:30 on Saturday night. Harris, 70, suffered a heart attack on Friday night. For Jessica Brown, whom Harris helped raise, not having her grandmother at her wedding was "probably one of the hardest things I've had to do." "It was the equivalent of not having a parent there," Brown told ABC News by email. "This woman helped raise me and become who I am. She's been there for everything." Jessica and Tyler Brown visited Jessica Brown's grandmother in a Jacksonville, Florida, hospital after their March, 25, 2017, wedding. Brown, her family and her wedding party tried to think of ways, like FaceTime, to include Harris in the wedding. It was Brown's sister who had the idea for the late-night hospital visit. "My sister said that if I went up there in my dress, it would make us both feel better and make her night," Brown said. "I needed no convincing." She and her new husband, still in their wedding attire, went to the hospital. When they arrived at Harris' room, Brown, with her bouquet in hand, climbed onto her grandmother's bed for an embrace. "My granny is the sweetest woman and has a hug so full of love that it makes the whole world feel OK," Brown said. "To finally hug her lifted my heavy heart." 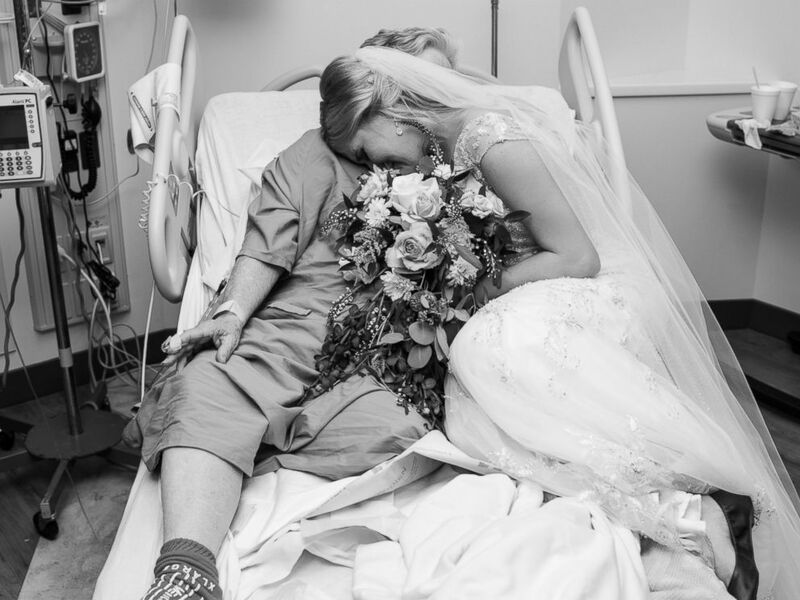 The couple's wedding photographer, Amanda Brown, a sister-in-law of the groom, was part of a group of about eight people, including the bride's family, who showed up at the hospital unannounced. "I think everybody was crying," Amanda Brown, the owner of Pink Shutter Photography, told ABC News. "It was a total surprise."